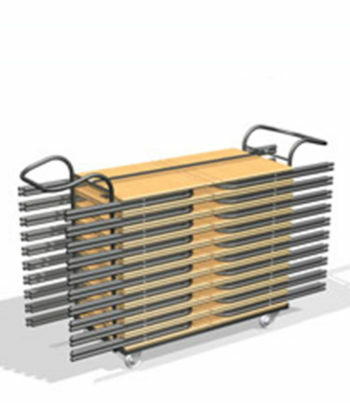 Exam desk transporters vary in design and size from different manufacturers.. For this reason it may not always be possible to supply one to match your existing desks. 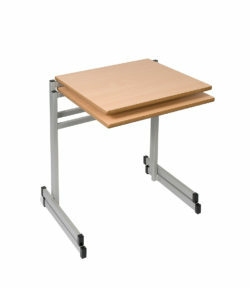 The desk transporter shown here has been designed for our “London” folding exam desks which are manufactured in the UK. 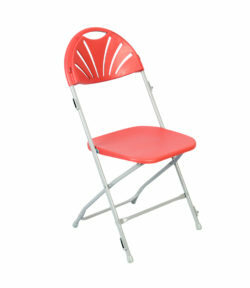 It is supplied assembled with no “self assembly” needed. Please contact us at 020-7515-1797 to discuss. 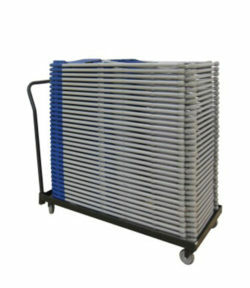 Our “Morden” folding desks can be supplied with a transporter as a “package deal” as shown below. The design of the desk transporters may vary slightly on occasions. 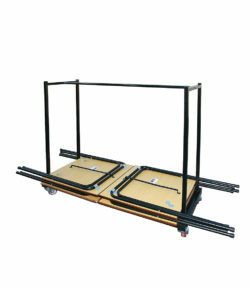 The transporters are supplied in self assembly format for ease of delivery (assembly takes approx. 30 minutes).